SS Legacy on the Snake River in Washington State, USA. Un-Cruise Adventures’ 88-guest river-cruise ship SS Legacy sails a new wine-centric itinerary next year, with four departures along Washington State’s Columbia and Snake Rivers in 2015. Departing roundtrip from Portland in Oregon, the itinerary blends scenic cruising along four rivers with visits to nine wineries. 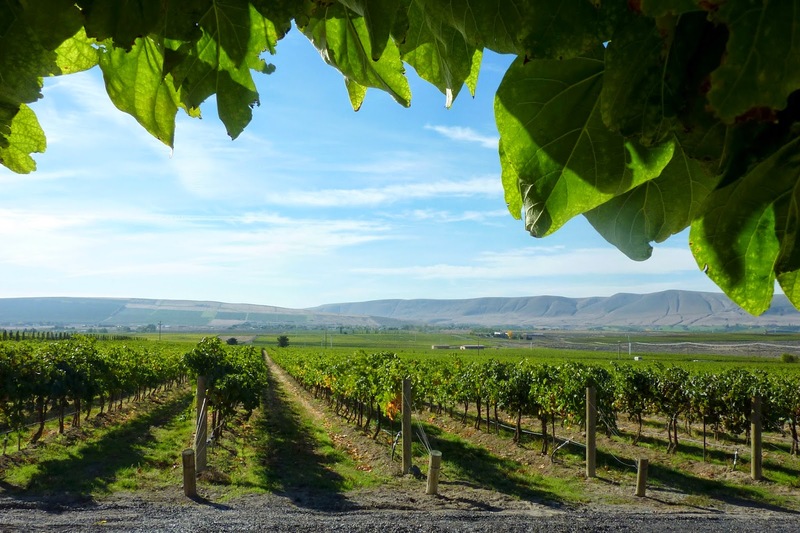 The weeklong ‘Ameritage!’ itinerary features four rivers – the Columbia, Snake, Willamette and Palouse – and highlights the burgeoning wine regions in Washington and Oregon including Walla Walla, recently named one of the top ten wine regions in the world. A local wine expert joins guests on board for the week leading presentations and wine tastings. Vineyards along the Snake River in Washington State, USA. 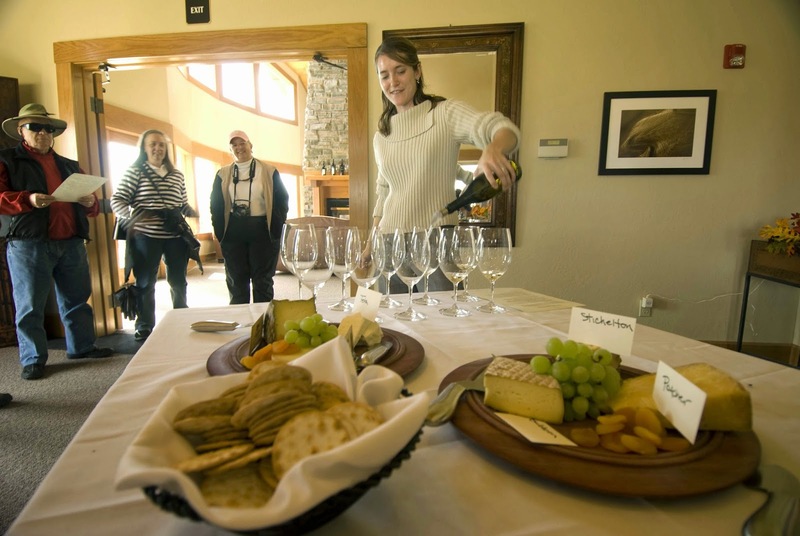 Tastings at nine wineries are also part of the experience. These might include the likes of wineries such as Springhouse Cellars, Maryhill Winery, AniChe Cellars, Bergevin Lane, Dunham Cellars, Terra Blanca and Sunshine Mill Winery. A visit to the Wine Shack in Cannon Beach includes tastings of Washington and Oregon wines. Wine cellars apart, there’s a great diversity of other experiences found in the Columbia River region: waterfalls, Lewis and Clark explorer history, monuments and museums, rainforest and wheat fields, locks and dams. 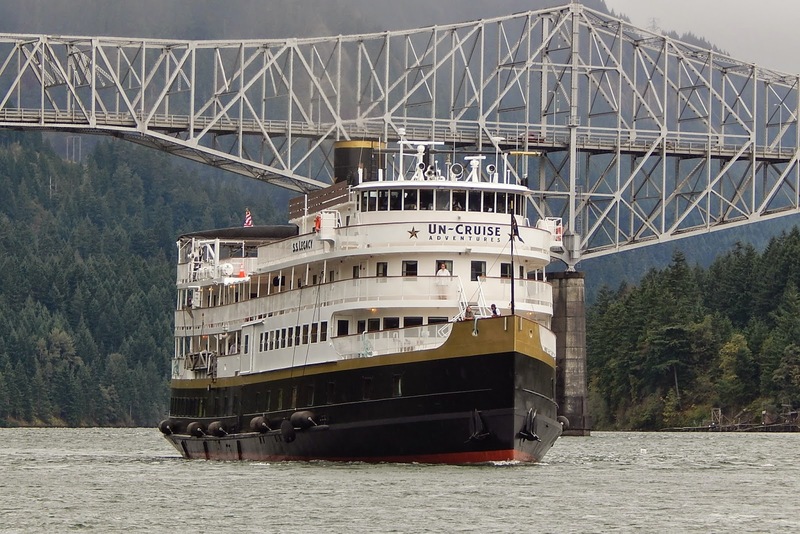 Highlights of the cruise include cruising through scenic Columbia River Gorge and visits to Hood River, Walla Walla, Astoria and Cannon Beach. Excursions explore towering Multnomah Falls, eclectic Maryhill Museum, Hanford Interpretive Center and Whitman Mission. A skiff ride travels into a scenic canyon to Palouse Falls. Wine tasting on an SS Legacy cruise. On board SS Legacy, guests enjoy fresh, innovative cuisine paired with local wines, indulge in tastings, and listen to presentations about wine and the region generally. The 88-guest SS Legacy is a replica coastal steamer, and emulates the steam ships found along the rivers in the early 1900s. For more information, see Un-Cruise Adventures.